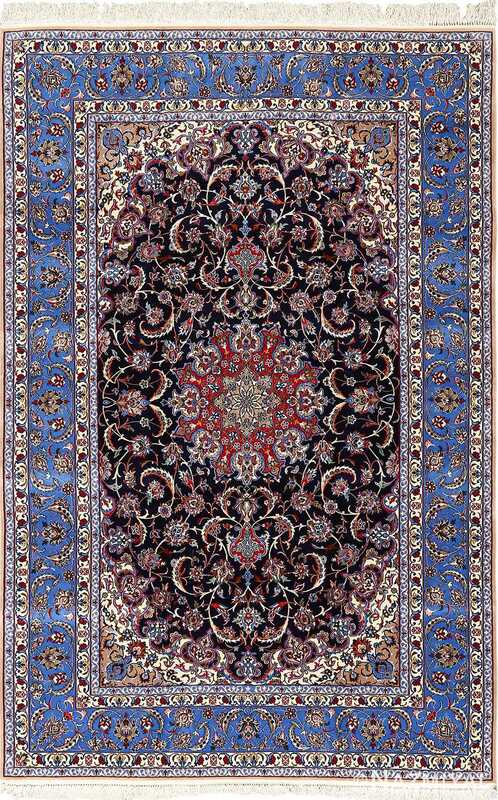 Intricate Geometric Vintage Isfahan Persian Rug 51166, Knots Per Square Inch KPSI: 625, Country of Origin / Rug Type: Vintage Persian Rug, Circa Date: Late 20th Century - vintage Persian Isfahan rugs are renowned for their bold style and presence. 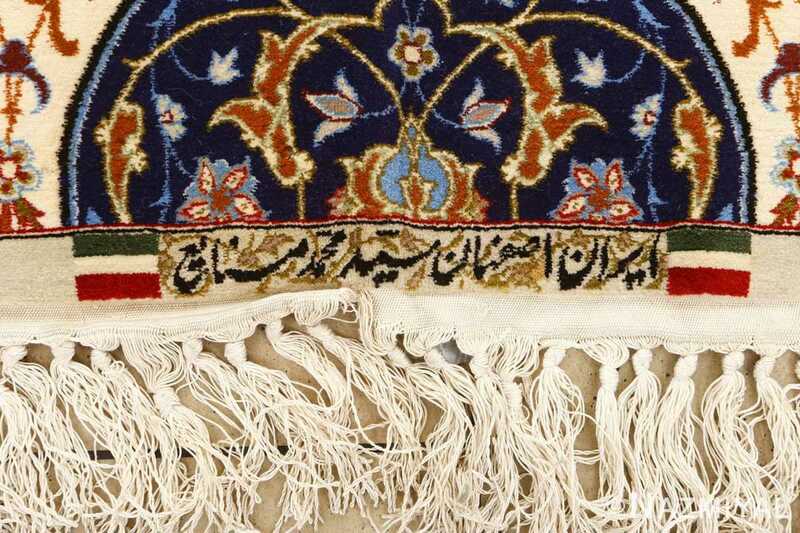 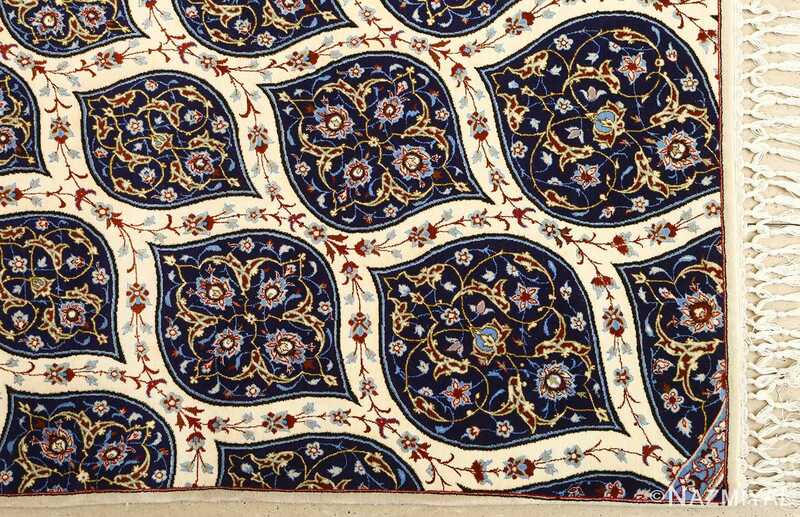 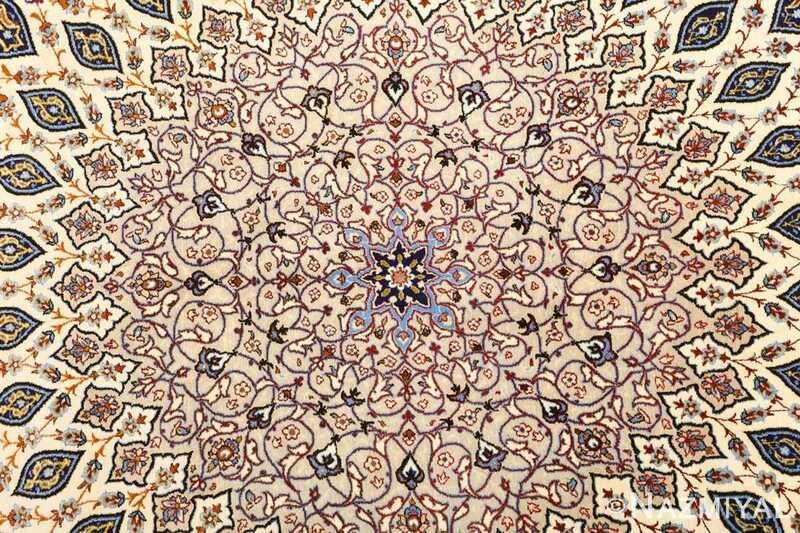 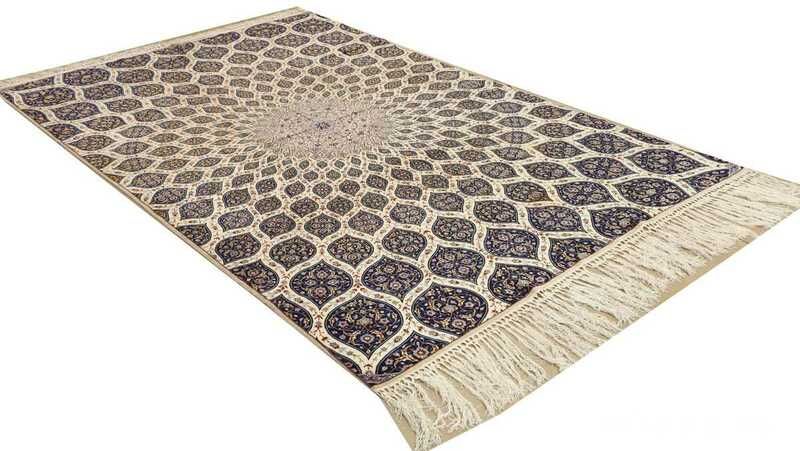 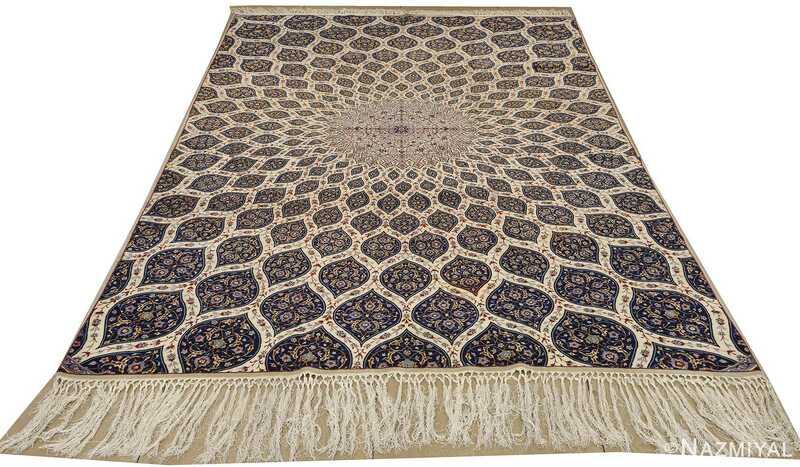 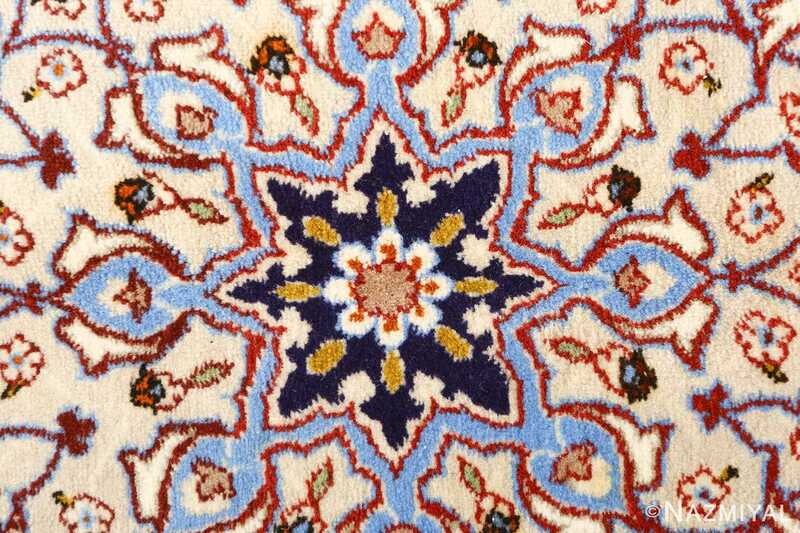 The city of Isfahan has been a major location in the rug making world for many years, and enthusiasts of the city's style have had the pleasure of beholding styles change from the traditional to the modern. 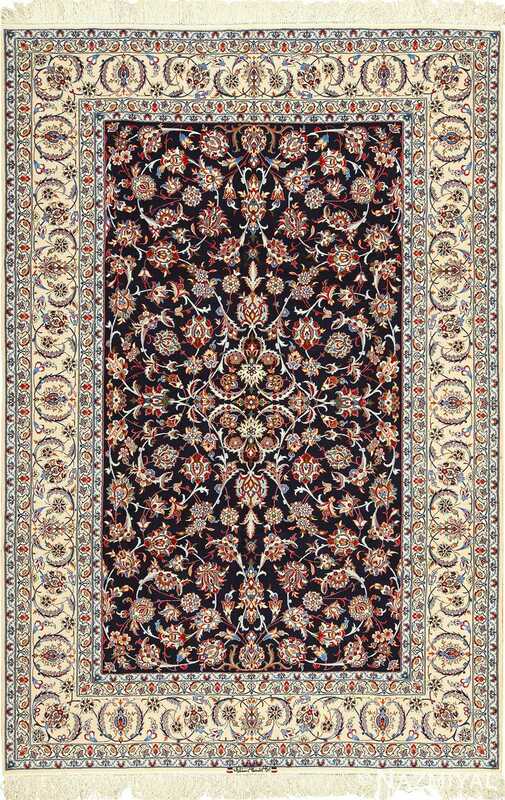 In this vintage Persian rug, the modern motifs are visible with every instance of masterful threading. 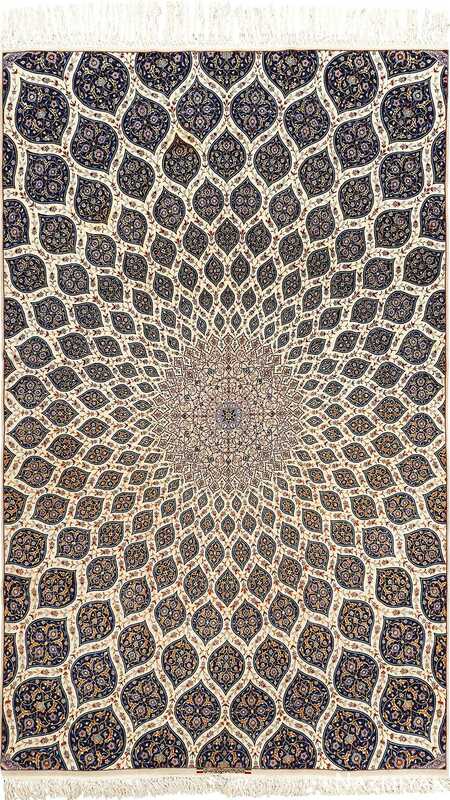 An illusion of depth is effortlessly created as the viewer's vision shifts from the edges of the rug to the very heart of the masterpiece. 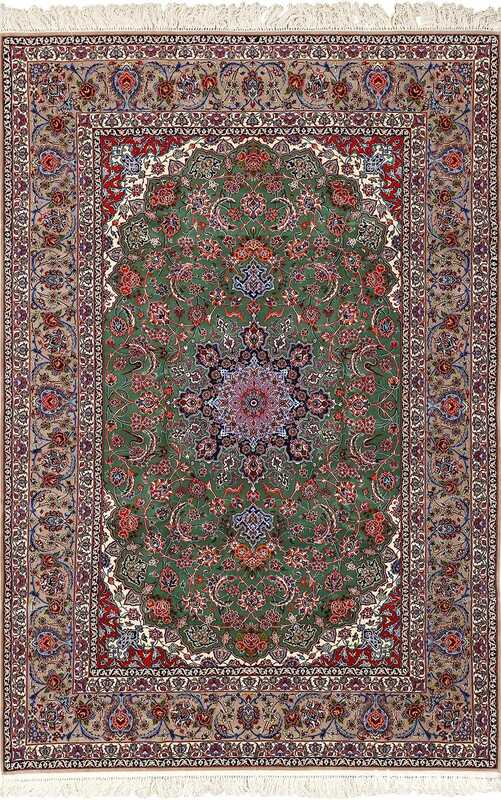 Here, rounded feather motifs swirl around the core of the Oriental rug, until they disappear from view in their depth, giving way to a single round blossom as the focal point.